Yes unfortunately the do. The confusion comes from the fact that the Nippi is MOT Exempt using a V112 as its classed as a invalid carriage if being driven by a disabled person. 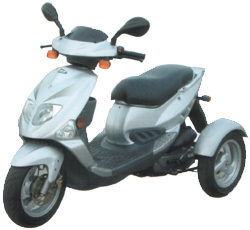 However since the Trippi is not designed as an exclusively disabled vehicle (and is essentially a standard trike / scooter) its treated as a trike or scooter legally.